The 189th General Conference for The Church of Jesus Christ of Latter-day Saints is just around the corner—April 6-7, 2019. Twice every year, members of the Church gather together as a worldwide family to celebrate as Church leaders share inspired counsel and revelation. It is also a great opportunity to get together as families, friends, and new acquaintances, to eat, laugh, and learn. Many family groups have created traditions surrounding the spring and fall conference that range from green jello salad to apostle bingo. 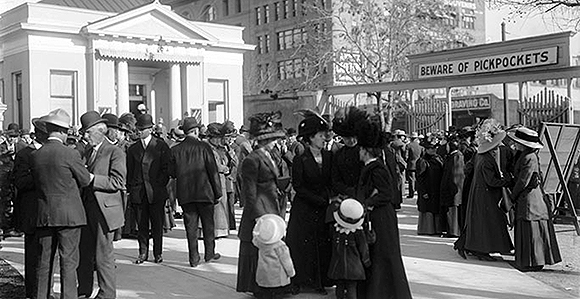 Crowds gather for General Conference in April of 1911. We know that the early Saints of this dispensation participated in a semi-annual conference, so this event has taken place for just about 200 years. These Saints even held a conference meeting aboard the Big Blue River ferryboat on the Missouri river in 1833. How often, however, do we pause to reflect on the examples of General Conference throughout the scriptures? How far back does this tradition really go? Are there patterns that can help us better understand our modern general conference experience? One of the earliest traditions of a spiritual gathering in great numbers comes to us from the Old Testament in the book of Exodus. 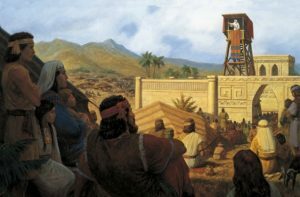 As the Israelites crisscrossed the wilderness in search of the Promised Land, they were instructed to build a tabernacle—a portable temple. Given explicit instructions, the Israelites carried out the construction to perfection. It was to be knows as a place of sanctuary, or “a place of meeting,” (Numbers 2:2), and that each man should “pitch his tent by his own standard, with the ensign of their father’s house…,” (Numbers 2:2) towards the tabernacle. They were instructed to approach the place of meeting in order to inquire of the Lord. On behalf of the group, Moses would enter into the tabernacle and commune with God, receiving revelation directly from the source. Afterwards, Moses would return and share God’s will with his people. In this manner, the tabernacle acted as a meeting place for the Israelites to receive revelation. It was also a meeting place of heaven and earth. We know that the Spirit of God cannot dwell in unclean places, and the tabernacle was specifically set aside to provide a place of divine potential for this purpose. 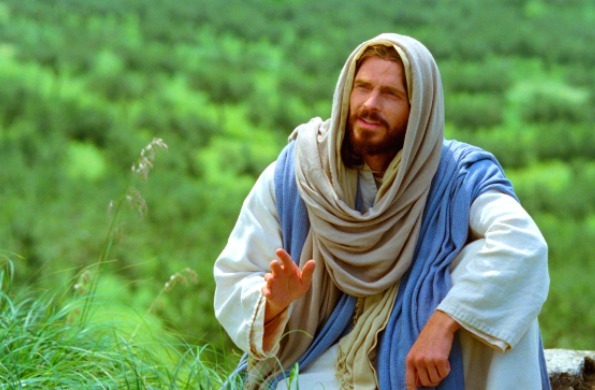 Jesus Himself was known to hold a general meeting or two when He walked the dusty roads during His earthly mission. Often these gatherings take place in an area removed from public life that his followers would have to travel to in order to gain His presence. We find Jesus teaching to multitudes in the desert, on a boat, and in the mountains. These private places take on the same symbolic nature as that of the tabernacle—a sacred space set apart where heaven and earth can be closely united—a sacred space that one must work to find. In two such cases, we find that the gathered throng has been so intent on hearing the words of Christ that they have forgotten to eat. It is true that Christ’s disciples doubt His ability to feed the multitudes with a few loaves of bread and a meager fish or two, but it has always been Christ’s way to work in miracles. And so He does—providing enough food that there is enough and to spare. 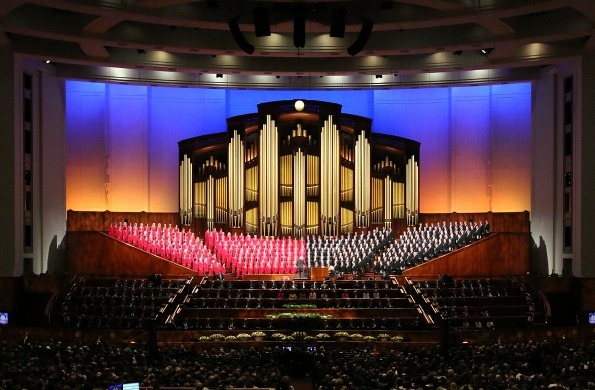 The Book of Mormon is also replete with opportunities to see general conference in action. “Wherefore, because of my blessing the Lord God will not suffer that ye shall parish; wherefore, he will be merciful unto you and unto your seed forever” (2 Nephi 4: 5,7). “…this day [I] am weighed down with much more desire and anxiety for the welfare of your souls than I have hitherto been,” (Jacob 2:3). “…my beloved brethren…according to the responsibility which I am under to god, to magnify mine office with soberness, and that I might rid my garments of your sins, I come up into the temple this day that I might declare unto you the word of God” (Jacob 2: 1). We might also recall, as diligent scriptorians, the general conference hosted by King Benjamin at the end of his life when he caused a tower to be erected on the grounds of the temple and invited each of his subjects to “pitch their tents round about, every man according to his family…having his tent with the door…towards the temple” (Mosiah 2:5-6). On this occasion, the saints came not only to listen to the pleasing word of God, but also to give thanks for their many blessings, one of whom is King Benjamin himself. I love that these saints recognize the benefit of a good leader—a man “who had taught them to keep the commandments of God, that they might rejoice and be filled with love towards God and all men” (Mosiah 2:4). This was certainly a historical occasion, not only because it was so looked forward to from the beginning of time, but because it was a powerful enough event to last in the hearts and minds of a group of saints for almost four hundred years. It changed their social and political views in such a way that differences no longer mattered, and the sharing of wealth and abundance was done by common consent. Certainly, dear reader, there are many more examples of general conferences within the pages of the scriptures. I have only chosen to highlight a few that I have grown familiar with as I have searched the scriptures myself. 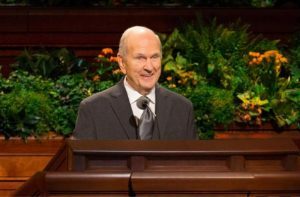 But what I have come away with is an increased reverence for the privilege that we as members of The Church of Jesus Christ of Latter-day Saints have been given to participate in this ancient tradition. As these eight patterns show, these events are of a sacred nature and provide another opportunity for heaven and earth to touch for two brief days. As you listen to the speakers, think about Moses, Lehi, or Jacob as they wrestled within themselves to receive revelation and share the exact message Christ intended for His people to hear. You can be sure that each speaker that will share a message this weekend has endured a similar struggle. As you listen to the speakers, take a moment to look around at your companions—whether it is a group of friends, your near and dear family, or just by yourself—and recognize that this is exactly how Christ has intended for us to receive revelation, surrounded by those who you feel an increase of love towards. And finally, recognize that you are taking part in a sacred tradition that has endured from the beginning of religious tradition. Perhaps even before that (think our premortal life). What a welcome opportunity we have to participate in something so sacred and lasting, and to find new and unique ways to make it entirely our own. Jessica Clark is a wife, mom, writer, runner, knitter, and proud Canadian. She graduated from Brigham Young University with a degree in Anthropology, and has been a student of people and cultures ever since. Right now she is busy studying the behavior and cultures of the people of Texas.